As 2014 comes to a close, I have a few things to share with you. The first is this list of my favorite photography-related blog posts from this year. The next will be my favorite photos of 2014 (from my own collection), coming in the next few days. Following that, I'll share my favorite photography milestones from 2014. You'll notice that many of the blog posts on this list center around the subject copyright infringement. This is a subject that has really defined my year photography-wise, for better or worse. I've had businesses, both small and large, infringe on my work, I had someone enter and win a contest with one of my photos that she claimed as her own, but thankfully, I also received payment for an infringement, thanks to Pixsy (more on Pixsy in future posts). 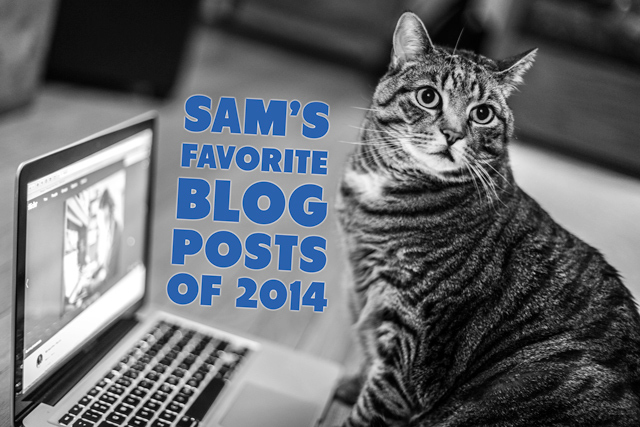 What were your favorite blog posts from 2014? Please share in the comments. Great idea to do a wrap up!!! Tweeted! !